I would send it to someone to fix it. CXMan recommended Custom Rewind, so I would be tempted to send it there. You could always try to press that steel pole down flat but you risk damaging the coil itself. I think the problem is more than just the pole not being flat. The windings seem too large and it's not centered over the magnet. And it's epoxied. If I mess with it and damage it then it's all on me. To add even more mystery and intrigue, I spoke briefly with Rick's, explained the situation and sent them some pics. They said their technicians notes showed that my original unit WAS GOOD. My shop told them to rewind it anyway. Now it's definitely wrong and that throws suspicions back to the CDI. So now do I have TWO new/rebuilt parts that are no good!? The only way to make sure is to send both to Rex's. They have the jigs, parts and test equipment to test and repair properly. I'm awaiting word back from Rick's. Even if Rick's tested it OK before, they have now rewound it and that pole is bent. My money is still on the weak pulse generated from that trigger and/or the ignition coil on the stator. But Rex's can test the whole system and advise what's wrong. They should be able to determine if the pulse coil generates sufficient voltage and should also be able to put the output on a scope to see if it looks right. If it cannot generate a clean start end end to the pulse, so to speak, it cannot trigger the CDI or calculate timing advance. It probably generates a positive and negative pulse that the CDI uses to time the spark and even if the resistance is in spec it may not be able to create a spark. REx's people should know what it needs. Got the stator and flywheel back on today. Pulse coil looks "normal" now, gap is good, etc. Still no spark. I removed the (new) CDI unit and will be sending it to Rex's for testing. 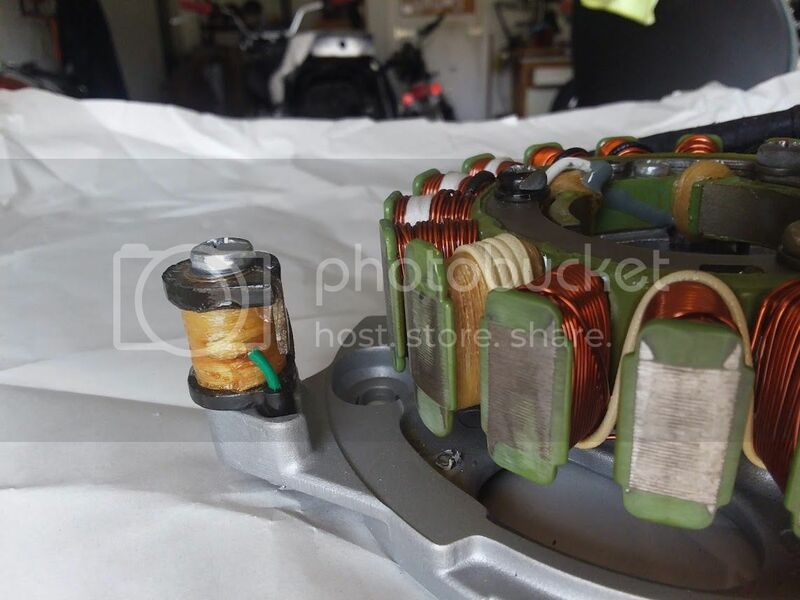 Do you see anything in these pics that would cause you to send the stator as well? 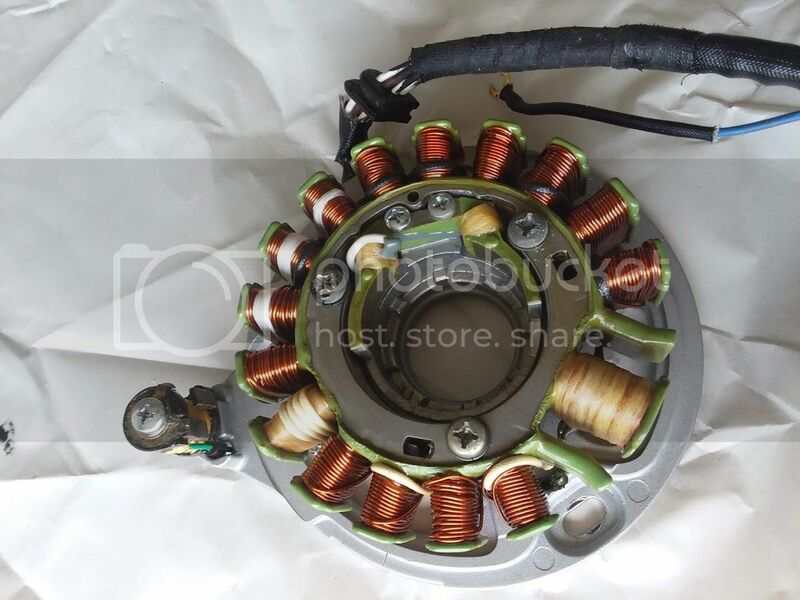 Stator passes with flying colors. I took out the screw on the pulse coil and made sure there was no epoxy on the rear where it touches the backing plate. Tested the coil again: good. 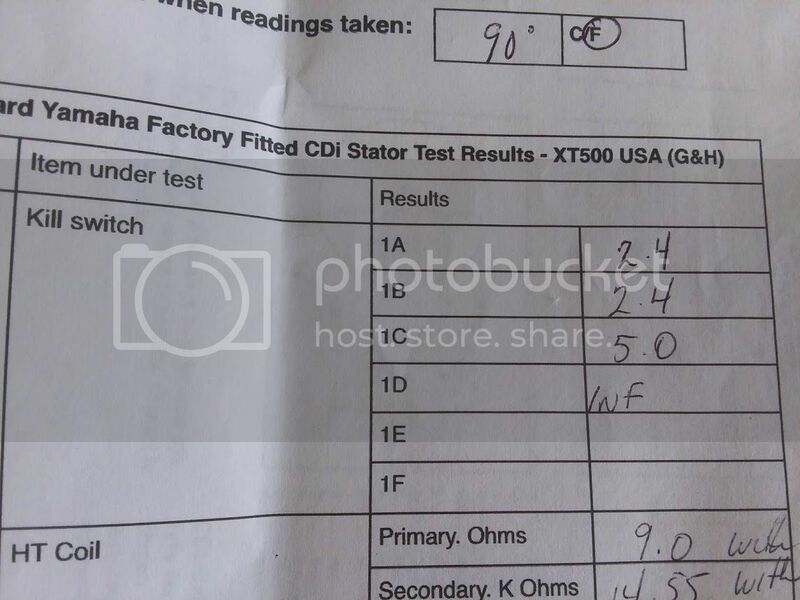 While I had the test sheet out, I did ALL of the tests again and now I'm getting some funky readings on the key switch/kill switch tests. I have the results written down from before and now my numbers are different. Especially the "KILL SWITCH OFF, IGNITION SWITCH ON" test. And that one gave me a high reading once before. EDIT: set up some leads so I could test it by myself. 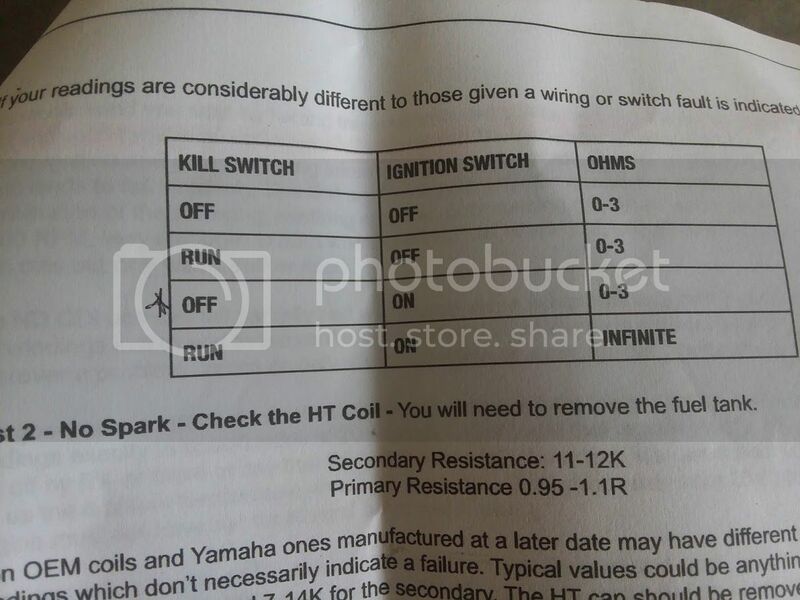 OK, definitely getting something odd on the ignition/kill switch circuit now. I set up some leads so I could test it myself and then subtracted the resistance of the leads. Test 3A, in my notes, had a star beside it and I got slightly high on a previous test, but nothing like this. Maybe something has been iffy and failing up there all along? If 3A is bad, which switch is it? The ignition switch or the kill switch? 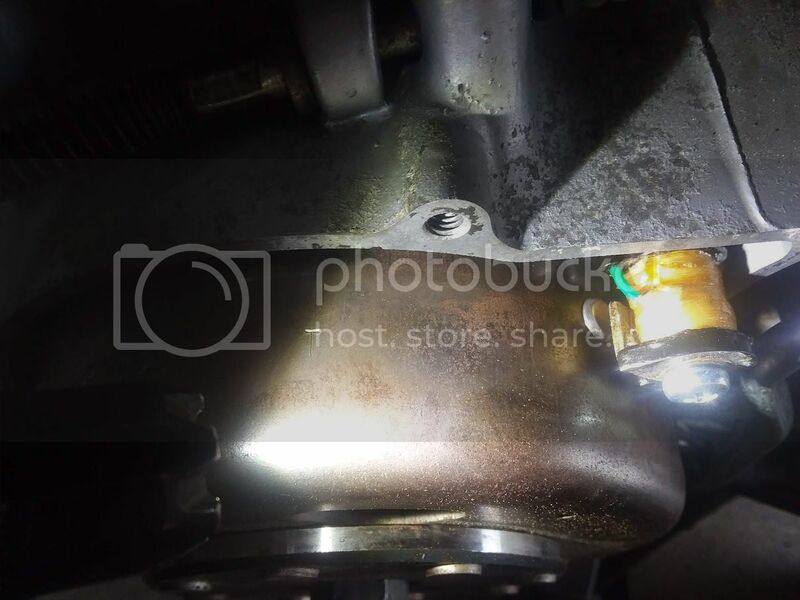 Is the only repair to replace it? This was starred before, for reasons I can't remember now. In the previous tests, even if I zero out for the leads I used, 3A still showed high. But now it's insanely high. What does that tell me? 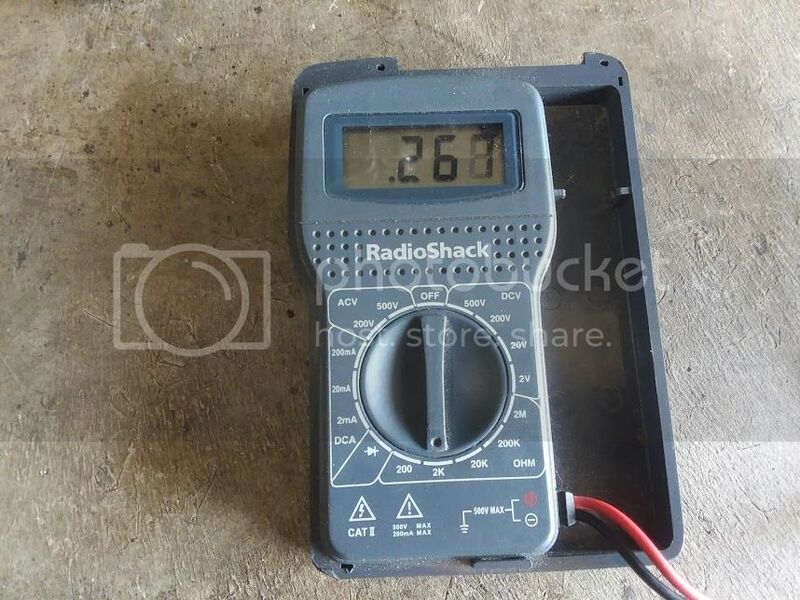 In those tests, where are the multimeter probes located? On the Black and Black/White wires at the rear of the bike, where the CDI plugs in. That way, you're not only testing the kill switch and ignition switch, but the main wiring loom as well. And now I can't duplicate that odd reading. FML! I'm getting the exact same reading across tests 1, 2 and 3 and infinite on 4. But no spark. I'm willing to pay someone to fix the damn thing at this point but I don't know of anyone in the area who would work on it.